Frisomat is founded in 1978 by Guy Somers. 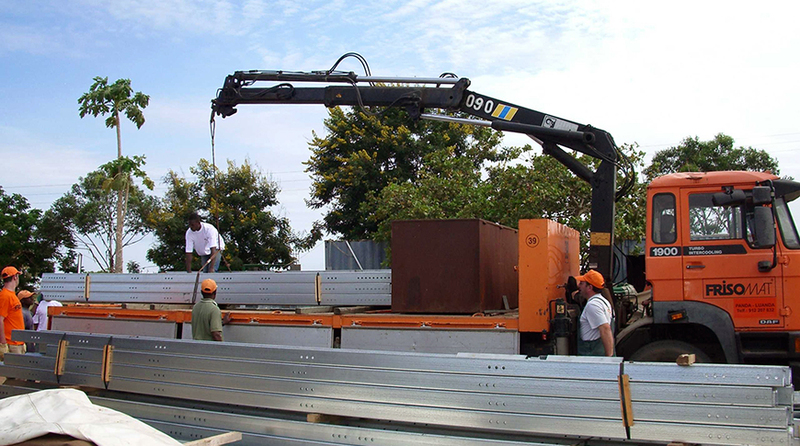 We are a Belgian company that designs, develops, produces and constructs buildings made of prefabricated cold-formed steel. Our constructions consume 30% less steel, yet they are robust and sustainable. This makes Frisomat buildings easy to transport and to assemble. More than 85% of our production is exported. 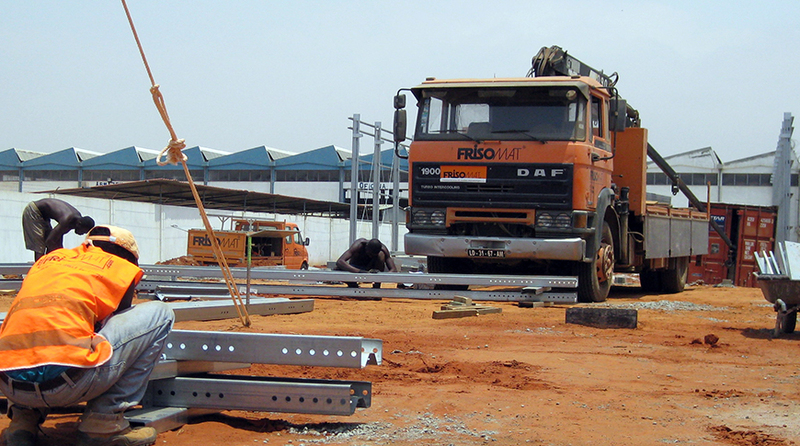 We have a lot of experience in building pre-engineered steel hangars in Africa. We’ve done it for over forty years in more than 35 African countries. Frisomat covers the entire value chain. From R&D and design over manufacturing to transport, assembly and after-sales service. Our quick and easy construction concept is unrivalled. Every part of the building simply fits into place thanks to its predefined concept. We engage local assembly teams to make the process run even faster. Your steel industrial hall can be put up in weeks, overseen by an experienced Frisomat assembly worker on site. This way, assembly is optimally coordinated, a rigorous quality control is ensured and a short and carefree project cycle is guaranteed. The continuity or start-up of your business is our main priority. Frisomat has 14 subsidiaries worldwide – Algeria, Belgium, Brazil, Bulgaria, Slovakia, France, Germany, Hungary, Poland, Portugal, Romania, Russia, The Netherlands, Ukraine – and production plants in Belgium, Russia and Brazil. Our global dealer network is ever-growing. Through this international presence, Frisomat is active over 100 countries, where it has completed more than 35,000 steel construction projects. The company employs 450 people worldwide. 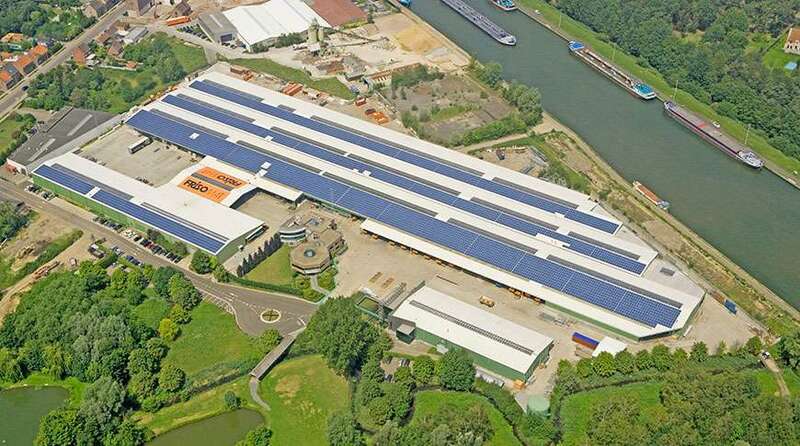 Frisomat Group serves the African market from our headquarters located in Belgium. With frequent local visits we are present all across the continent. In Algeria Frisomat has its own affiliate with local sales representatives ready to serve you. In Morocco, Frisomat joined hands with Cosimco, where we are building partners in turnkey solutions.